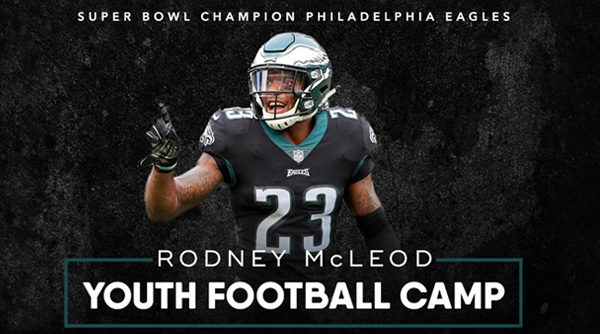 Come join me Super Bowl Champion Rodney McLeod for my annual Youth Football Camp for ages 8-14. The Camp is FREE but space is limited. 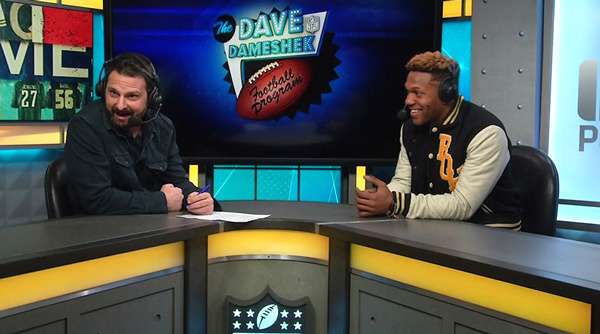 Rodney McLeod discusses the SuperBowl victory with Dave Dameshak. Check out the full video interview w Dave Dameshak. 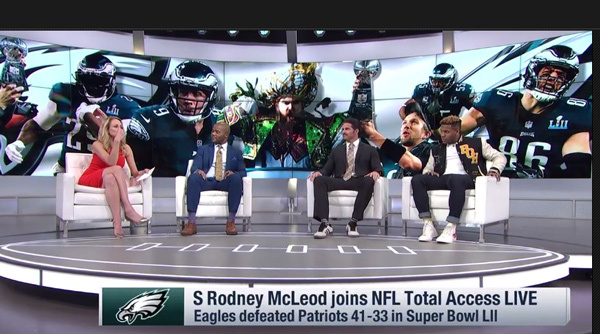 With Philly in the sports spotlight for the NFL Draft, Philadelphia Eagles Brent Celek and Rodney McLeod talk football, family, and free time. Rodney McLeod and Brent Celek in action at the Linc. 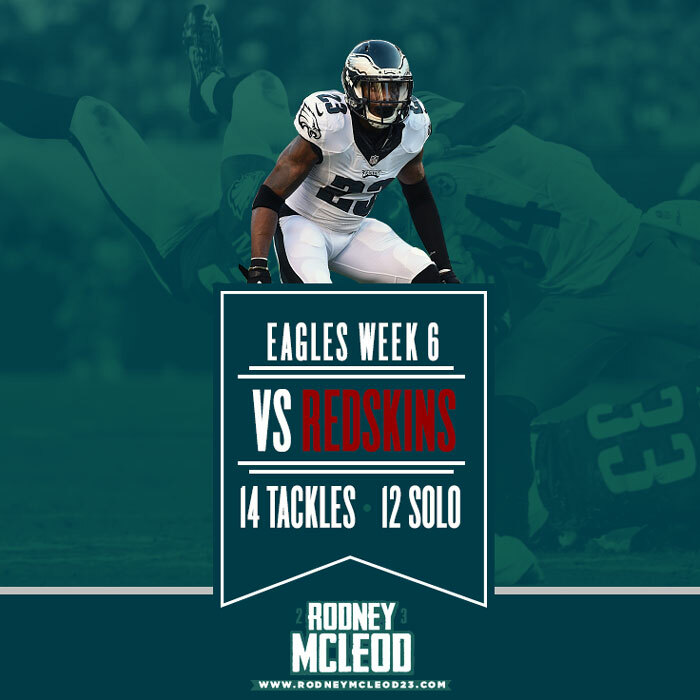 Run down the stats and Brent Celek and Rodney McLeod don’t seem to have much in common. 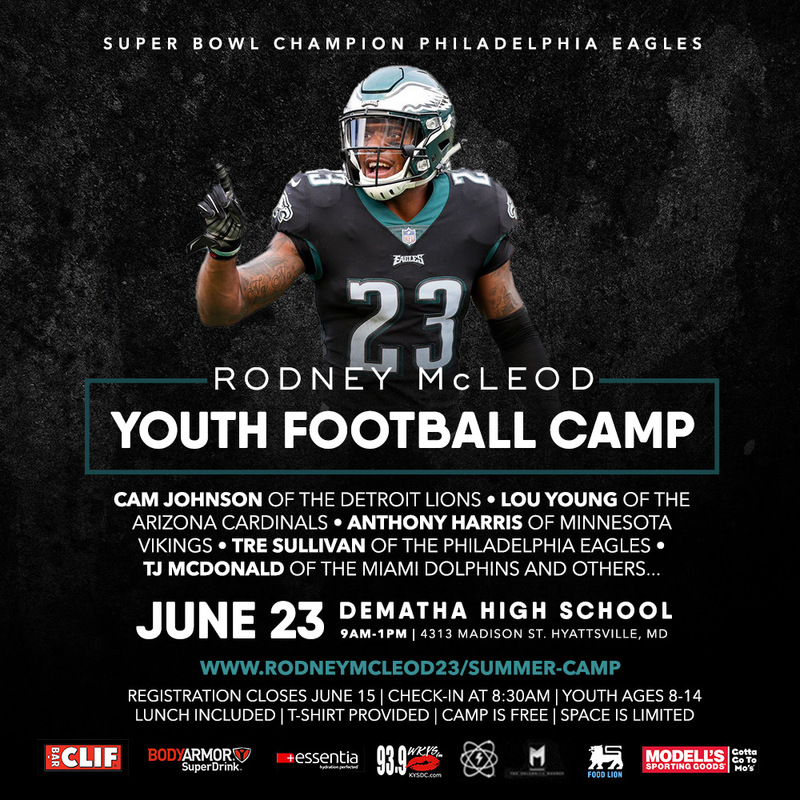 Celek, who began his career as a fifth-round draft pick under Andy Reid, is a veteran Eagles tight end and has been a fixture on both the football and philanthropy scenes in Philly for more than a decade. 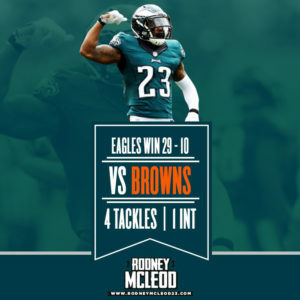 McLeod, who grew up around the Washington, DC area, just wrapped up his first season with the Eagles as a safety after starting out as an undrafted free agent with the St. Louis Rams, and is still getting to know his adopted hometown. But they do have one big thing in common: They love the food in Philly, from out-of-the-way pizza joints to stalwart dining experiences like Buddakan. 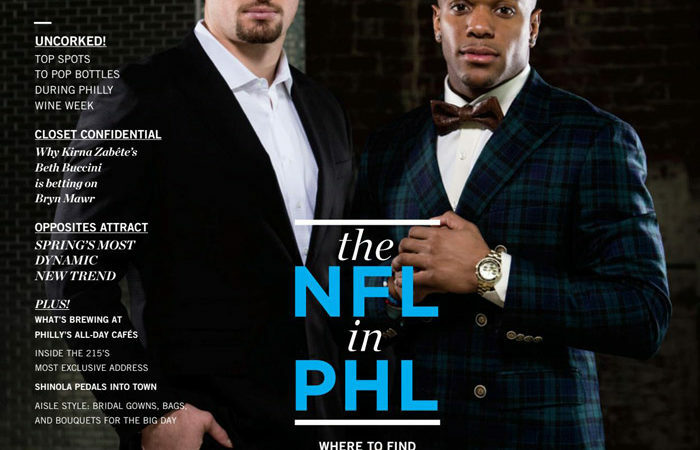 Fresh off a charity fashion show for Big Brothers Big Sisters, Celek and McLeod donned suits instead of uniforms to talk to Philadelphia Style. When did you both know that football was more than a hobby? Brent Celek: I always knew I loved football. I watched all the games growing up, especially Notre Dame. I liked the Eagles but the Pittsburgh Steelers were my favorite team because of Jerome Bettis. He’s my favorite player of all time. I started playing tight end as a freshman in high school. During the first game I caught a touchdown pass, and I knew that was the position I wanted to play. 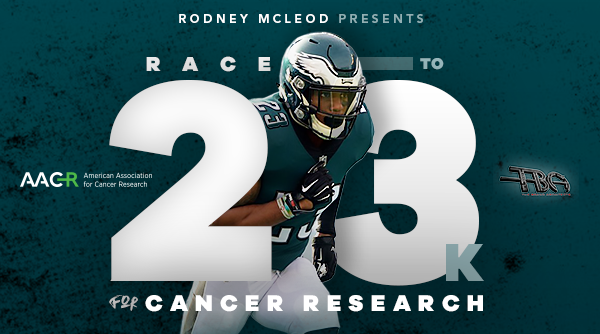 Rodney McLeod: My mom always made sure we did extracurricular activities, so I played football and basketball, and ran track growing up. 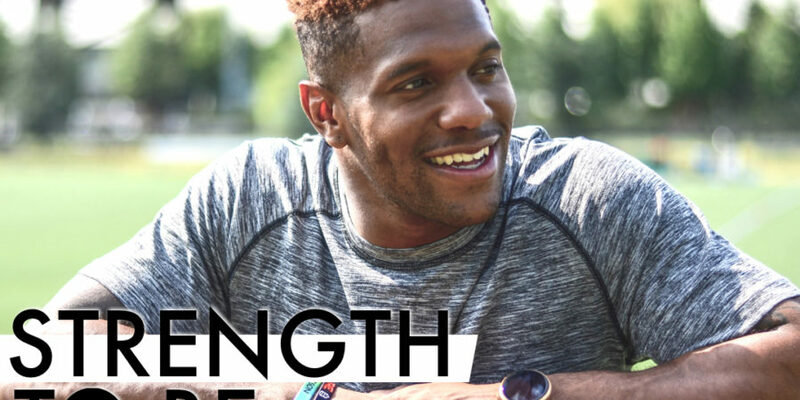 I went to the Junior Olympics for track and ran in the Penn Relays in high school. I enjoyed it but I knew football was where I wanted to be. 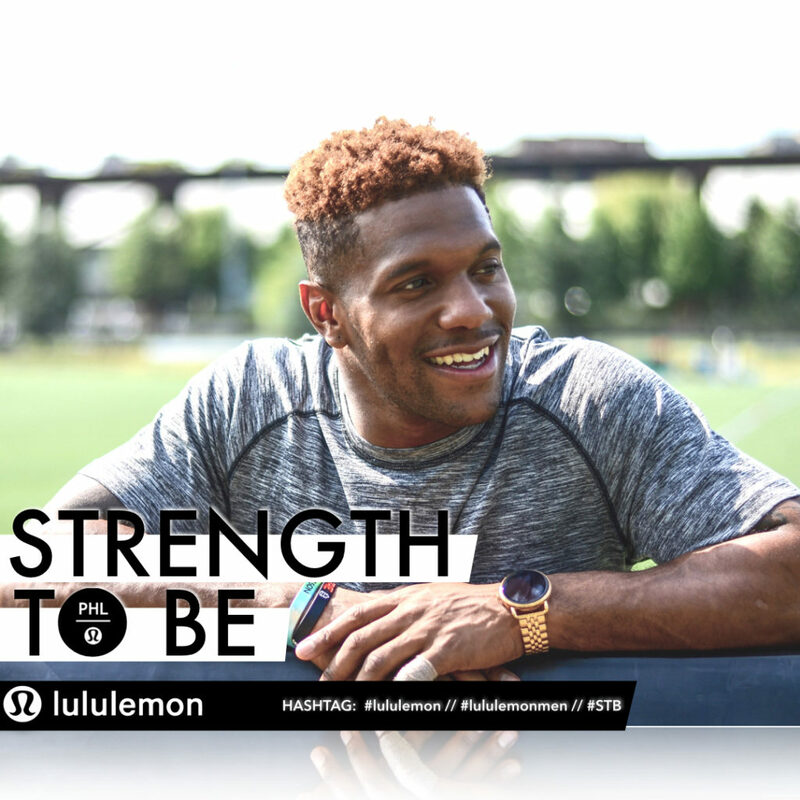 I didn’t want to just run—I wanted to have a purpose behind it. Track has really helped me on the field from a conditioning standpoint. I’ve got a lot of miles on these legs. What were your first impressions about Philadelphia? RM: I’m from the DC area so there are a lot of similarities. I had only been to Philly once before, but I had friends from here so I knew a lot about the city—like the cheesesteaks. I still don’t have a favorite. BC: Cincinnati was like a ghost town compared to Philadelphia; I had never really been to a major city before. One of the first things that I heard was about the people, that it was a rougher, tougher city. And it turns out that it is. [Laughs] But I liked that. It’s changed me for the better. How are you spending the off season? RM: I’m going to stay in Philly and check out new restaurants. I have a whole list on my phone. I’ve knocked a lot of tourist stuff off my bucket list already: the Rocky steps, Independence Hall, the Liberty Bell. BC: My family and I are going to a cabin in the Midwest. I like to cook, so I’ll make everything from scratch, and read a lot. Being a new dad is the greatest thing ever. My daughter has really changed how I see the world. What’s one thing people might not know about you? RM: I’m the oldest of five brothers and sisters so I always helped out growing up, from making grilled cheese to changing diapers. BC: I’m an entrepreneur at heart. Real estate is my passion so I’m getting more involved in that. And I’m working with a local R&B artist, Guordan Banks, on his music career. Music is my other passion. PHILADELPHIA — Josh Huff returned a kickoff 98 yards for a touchdown, Carson Wentz outplayed Sam Bradford and the Philadelphia Eagles beat Minnesota 21-10 on Sunday, handing the Vikings their first loss of the season. 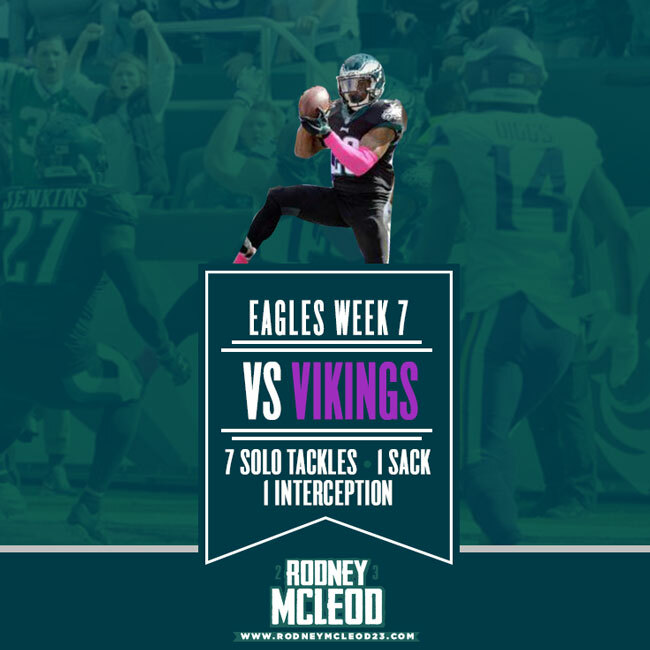 The Eagles (4-2) snapped a two-game losing streak while the rested Vikings (5-1) hardly looked like an unbeaten team after having a bye. Kirk Cousins threw for 263 yards and two touchdowns and the Washington Redskins ran roughshod over one of the NFL’s top defenses in a 27-20 victory over the Philadelphia Eagles on Sunday. The three-headed running attack of Matt Jones, Robert Kelley and Chris Thompson combined for 231 yards and a touchdown as the Redskins (4-2) won their fourth consecutive game. After starting the season 0-3, Washington has its best record through six games since 2008. 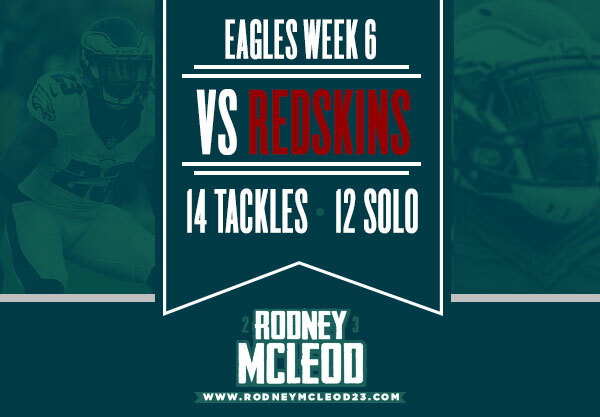 The Redskins put up 493 offensive yards against the Eagles (3-2), who came in allowing an average of 266.8 yards and 12.6 points as the league’s second-best defense. Malcolm Jenkins intercepted Cousins and returned it 64 yards for a touchdown, but Philadelphia struggled to stop Washington for most of the day. Cousins, who was 18 of 34 and not at his best, connected with Jamison Crowder on a 16-yard touchdown and with Vernon Davis on a 13-yard touchdown. Davis started at tight end in place of Jordan Reed, who was out with a concussion. Jones ran for a 1-yard touchdown and sealed the victory with a 57-yard run on third down with 1:27 left as part of his 135-yard day. Whenever rushing yards stack up like that there is usually lot of tackles in the secondary which was seen by Rodney Mcleod’s 12 tackles and 2 assists. The Eagles will look to bounce back from consecutive losses next week. 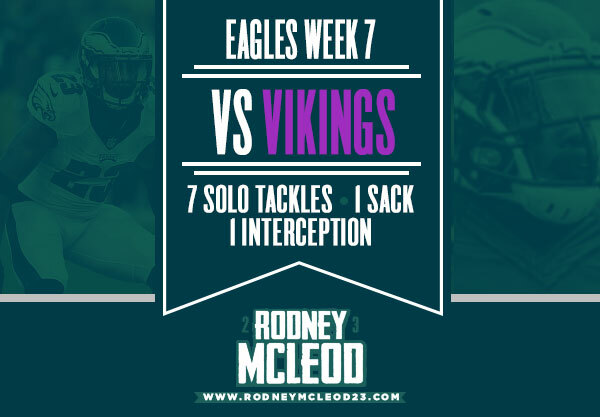 McLeod started off on the right foot showing why is one of the best young players in the league. 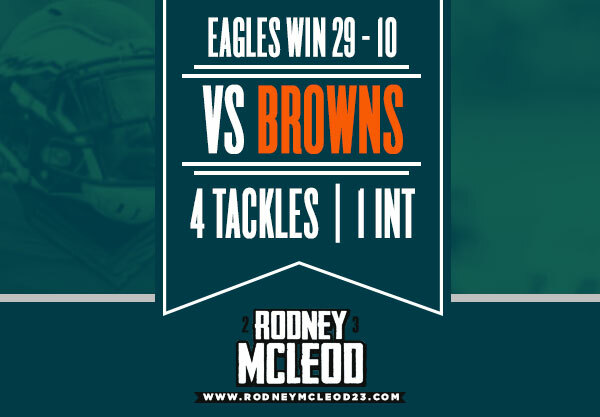 In the opener against the Browns, he had 4 tackles, including one for a loss. He also had an INT and a pass defensed. He was also on the punt coverage unit. What do you think about his performance?